At CES 2019, Western Digital is demonstrating a prototype of a 4TB thumb drive with a Type-C interface. To be more precise, the form factor is that of a thumb drive, but the Type-C connector currently hangs off a wire. Given that it is a prototype, and has little chance of hitting the market at reasonable price points in the imminent future, this is expected. The main intent is to showcase the technological prowess of SanDisk's flash solutions. 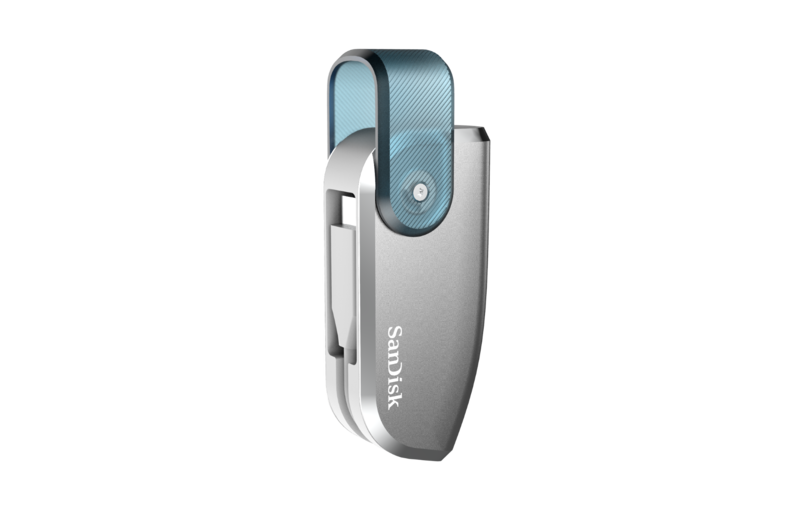 As expected, the prototype carries the SanDisk branding. Based on the form factor, we believe that the product is using the 1.33Tb QLC 96L NAND that started sampling in Q3 2018. The prototype bodes well for compact high-capacity thumb drives in the near future. These will be for use-cases where high performance is not a requirement (think of reads and writes in the 20 – 0 MBps range). We are waiting on WD to provide additional technical details regarding the actual configuration used in the prototype. We have also requested for the performance numbers they are able to achieve in such a compact form factor with the high-capacity dies.